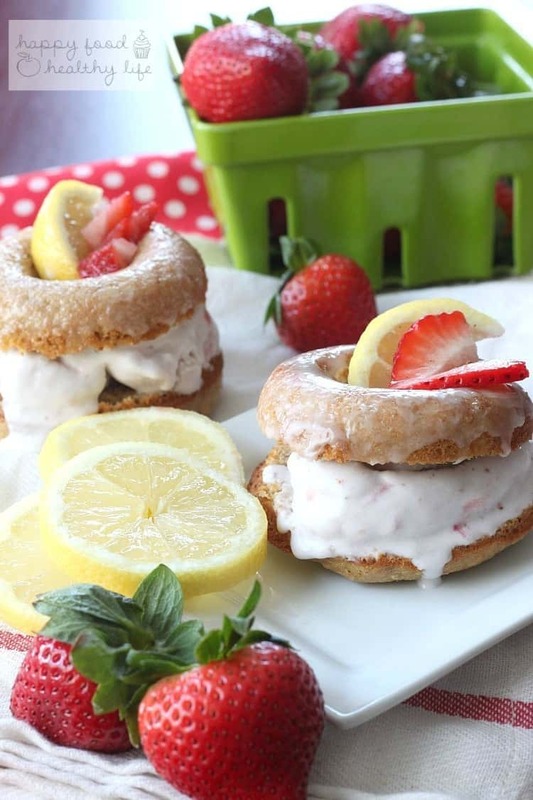 Sometimes hot summer days call for a lighter treat like these LIGHTENED-UP STRAWBERRY LEMONADE DOUGHNUT ICE CREAM SANDWICHES! Ok, have you been following me on Instagram in the last week? If you have, you know that doughnuts have been a big part of my life lately. Well, at least last weekend. I was in Portland at an amazing foodie getaway, and I swear, there were sweet doughnuts everywhere! They were delivered to our hotel room so we could all try them while wearing our stretchy pants. They were in the cutest little boutique area of town that I could visit on the daily. They were in a friend’s hotel suite on the last day of the trip so we could all meet back up one last time before leaving. So much for trying to be healthy! Oh, and then when I got back into town, just a day later, the boss-man brought them into the office, and my stomach practically churned at the sight of another 3-dozen doughnuts in front of me. Let’s just say I did NOT indulge in that batch! 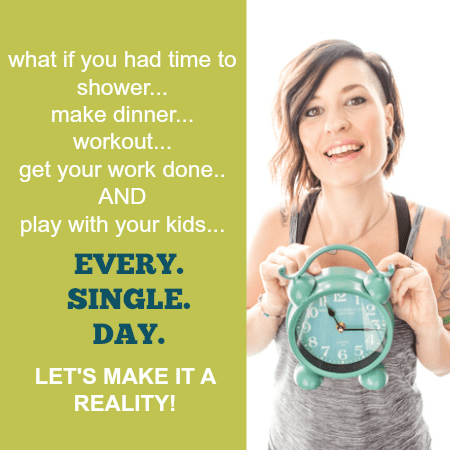 At that point, I was already back in “get fit” mode, and well, the amount of doughnuts I was consuming does not create 6-pack abs and tight booties… just sayin’. I will say this though. Doughnuts truly are amazing and they are meant to be enjoyed to the fullest. I’m not talking about just grabbing a doughnut from the break room because they’re there. I’m talking about enjoying the unique flavors and really tasting them. I’m talking about making them special. I’m talking about getting creative with your doughnuts, because there are SO many different ways to enjoy these tasty treats! So yes, every now and then, it is okay to indulge in a doughnut!! It’s all about moderation! 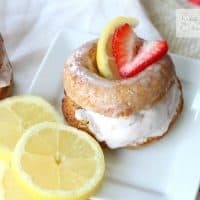 I personally am a fan of the cake doughnut because I can make it a little bit healthier with whole wheat flour and other whole ingredients. So that’s where I went with this one. 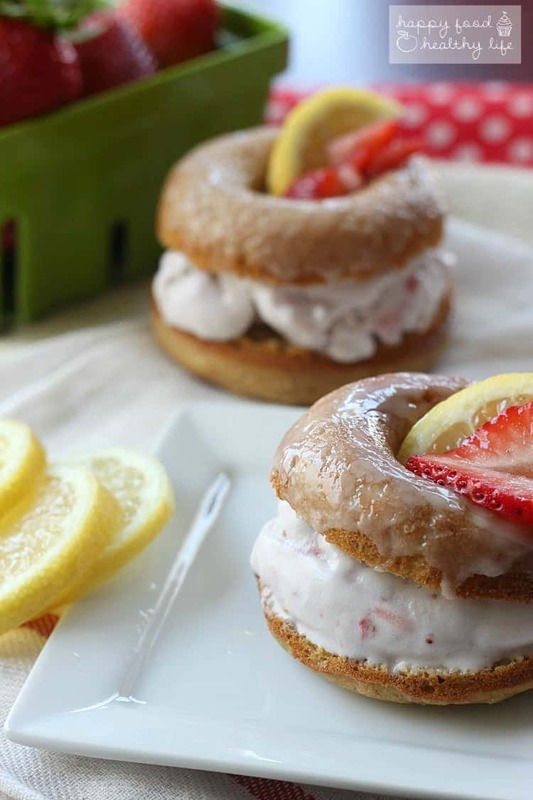 A tart lemon-y cakey doughnut that is the perfect vehicle for my homemade vegan strawberry ice cream I made last week. You remember that one right?? Yup, I took the ice cream and scooped right in between two halves of these sweet doughnuts. And created in that sandwich was summer in every bite. And because it’s National Doughnut Day, you know I had to celebrate with all my friends. Scroll further down if you want to see what my friends made for the occasion. Sometimes hot summer afternoons call for a lighter treat like these! Preheat your oven to 350* F. Thoroughly grease your doughnut pan with softened coconut oil or butter. Stir together dry ingredients in a large mixing bowl. In a separate bowl whisk the eggs. Then whisk in the milk, applesauce, oil, vanilla, and lemon zest until fully combined. Pour the wet into the dry and whisk or stir until just combined (when you no longer see dry flour). Place in the center of your oven for 18-23 minutes until a toothpick comes out nearly clean and the edges are golden brown. The holes should be closed up and the doughnuts may have spread slightly over the edge of each mold. If the holes didn’t fully close up it’s completely fine. It just makes spreading the ice cream easier! Mix the glaze ingredients together in a small bowl while you're waiting on the doughnuts to finish cooling. Remove ice cream from the freezer about an 10 minutes before filling + serving the doughnuts. Slice the doughnuts in half, right above where the hole closes, with a thin, serrated knife. Scoop the soft ice cream and spread gently on each doughnut right before serving. Place the top half on and lightly press down. Best served immediately. You can also wrap tightly with plastic wrap, put in a freezer bag, and place in the freezer for up to a couple weeks to serve later. Looking for more Doughnut Recipes? Eat all the doughnuts!!! Man. That was some weekend huh? Missing it already.. and missing those Blue Star doughnuts like nobody’s business! These look yummy! Happy National Doughnut Day! 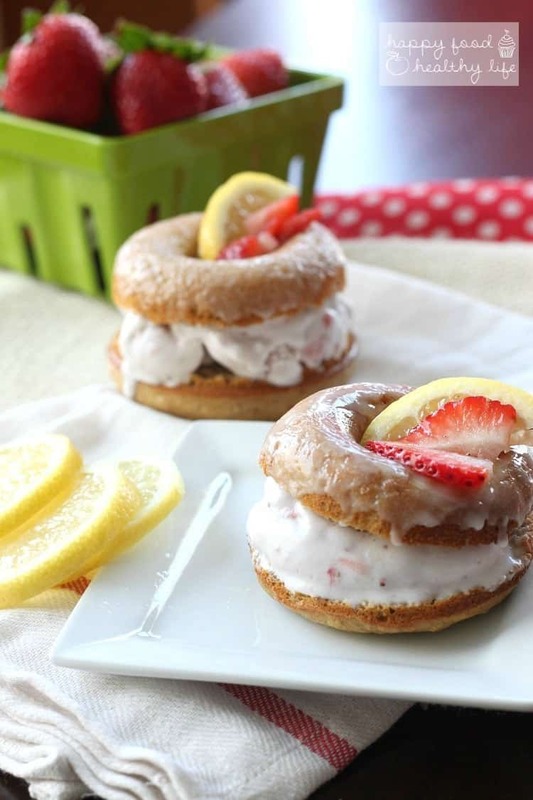 Donut ice cream sandwiches- count me in! Sounds like a perfect summer dessert, especially with those yummy berries! 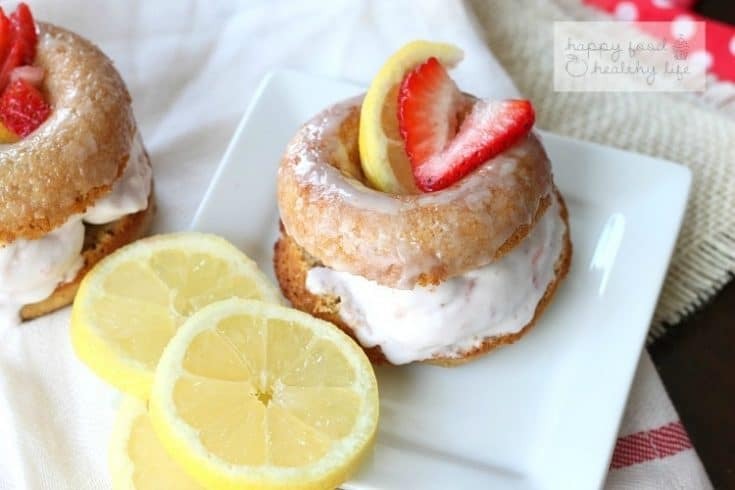 Mmmmm donuts all day, breakfast, lunch, dinner and this fabulousness for dessert! LOVE IT! You can’t go wrong with ice cream sandwiches. Especially when it includes a donut! Yum!